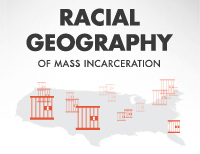 Avi Cummings and I have finished Importing Constituents: Incarcerated People and Political Clout in Maryland, our district-by-district analysis of how crediting Baltimore City’s incarcerated residents to remote districts distorts democracy and dilutes the votes of all voters in all other districts. and created a new page for the Maryland campaign. The Daily Times on Maryland’s Lower Eastern Shore has endorsed a call for Somerset County to base future legislative districts on the resident population. 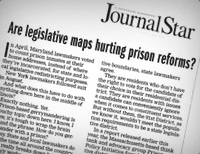 Page to support organizing to end prison-based gerrymandering in Delaware.